Designed for both interior and exterior applications. The zipper shade system offers a unique solution for many situations. These outdoor exterior screens can help reduce energy costs, maximize outdoor sitting space and protect from damaging UV rays. 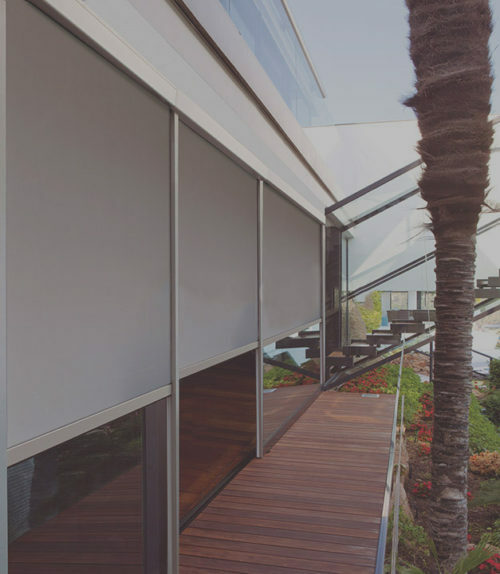 The locking zipper is welded onto solar shade fabric and inserted into the slim side-channel system. This prevents the shade fabric from being pulled out of the side-channel during inclement weather. The system is designed to fully retract into a self-storing cassette.